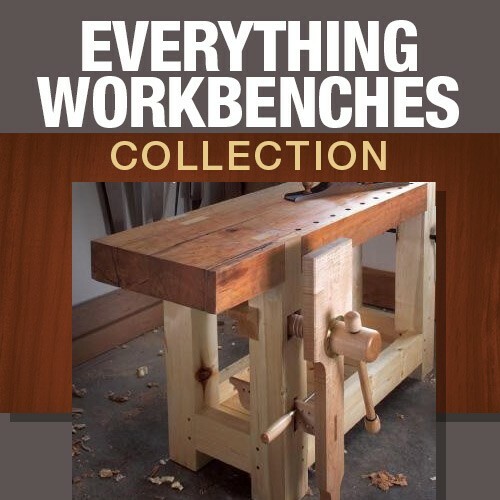 I don’t how that has anything to do with woodworking or what I’m about to share with you, but I imagine taking advantage of one or both of these new collections from Shop Woodworking will probably pay off in the shop somewhere down the road. Let’s start with something every woodworker needs in their shop, a good solid bench to work from. Regardless of whether your a hand tool woodworker or of the power tool variety, a reliable workbench is a necessity. “Every woodworker needs a workbench – and we all know that one style of workbench doesn’t work for every woodworker. In this exclusive collection, we give you the information – and plans – to figure out what YOU need and teach you how to build it. It doesn’t matter your limitations; limited space, tools , lack of workbench knowledge. Don’t fret, we’ve got you covered. For more information or to purchase your collection before they’re sold out, click here or on the image above to visit Shop Woodworking. The other collection is a pre-order for the “Blacksmithing for Woodworkers Collection.” Sure it’s not woodworking in the sense that we ordinarily think of it, but who hasn’t thought of building a forge and making your own tools or hardware? “Smith your own hardware with this collection of 13 videos and resources! Hand forged hardware can make a huge difference in your woodworking projects. 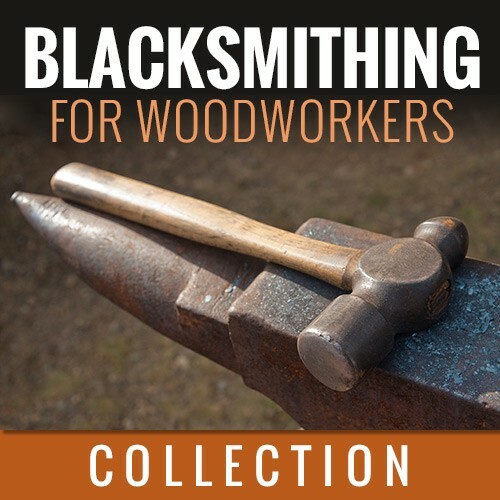 The Blacksmithing for Woodworkers Collection includes over 6 hours of blacksmithing instruction to get you ready to try making your own nails, tools, and hardware. For more information or to pre-order this collection, click here or on the image above to visit Shop Woodworking. As always, your purchases through Shop Woodworking or any of our affiliate programs help to support the show while getting you something you can use in the shop. Thanks for your support! Is your workbench a wall flower?